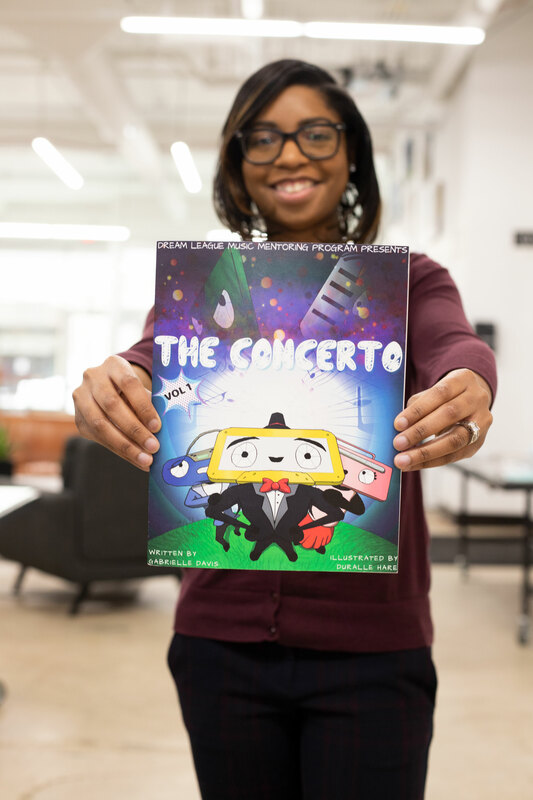 The Dream League has just released a comic book called The Concerto that is used to teach music theory and enhance reading proficiency. Written by Davis and illustrated by Durralle Hare, it features three super heroes named “Addagio,” “Andante” and “Harmony” as they make their way through the symphony created by “The Maestro.” The comic book has been a hit with students and adults alike. The Dream League also strives to prove why music is important for school age children. Music is one of the first programs to be cut from public school budgets and the Dream League hopes to fill that void. “Our job is to demonstrate the importance of music and how it can affect academics. Everything ties together,” Davis states. In a way, the Dream League is an extension of the experience that Davis has had in her own life. Born and raised in Flint, she started drumming at age three and initially learned music in the church playing gospel songs. She looked up to other drummers who were her mentors, and that experience became the inspiration behind the Program. She wanted to use what she learned and give it back to the community, and feels that Dream League is the best way to do that. “Throughout my life, it seemed like younger kids always looked up to me and I realized that I may have a calling to mentorship. It was then that I had the idea to fuse mentorship with music. 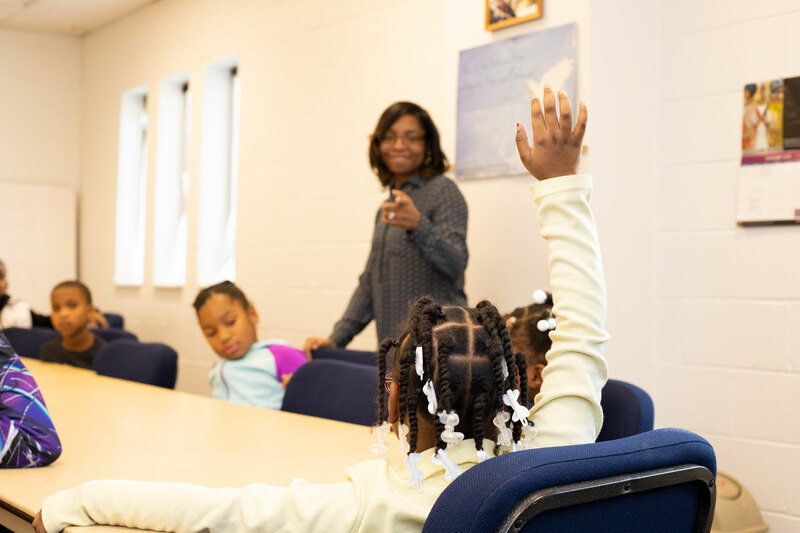 I see myself in many of the students we teach,” she says, smiling. 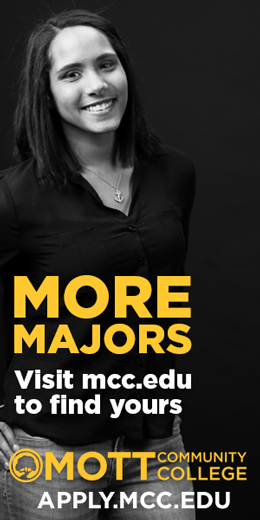 Davis will earn a degree in music business from the Berkeley College of Music online program. In her small amount of free time when she is not working with kids, she also works as DJ Smuve. 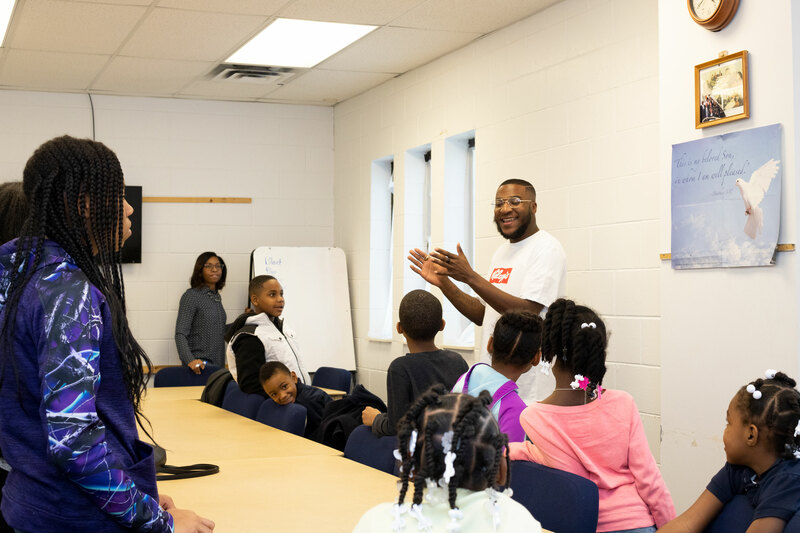 The Dream League Program is currently partnered with the YMCA Safe Places Program and operates out of the Downtown YMCA, the Flint Development Center and Mt. Olive Missionary Baptist Church. The program is also partnered with Holmes STEM Academy with a focus on increasing literacy in third-graders. Dream League works with students aged 5-17 and the current after-school curriculum is focused on the 8-12 age group. In the future, they will incorporate private lessons and create online learning segments that will supplement their standard lessons. The online learning will only be supplemental, as the Program does not want to cut the opportunity for positive mentoring. Later in the year, the Dream League will unveil the Urban Orchestra recital, when students will perform arrangements from popular artists like Michael Jackson. “Growing up, we didn’t have instrumental music that drew me. 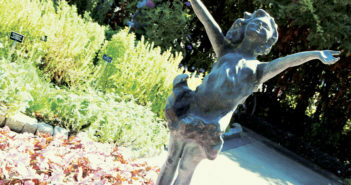 We want our recital to be engaging for students and parents,” Davis laughs. The Dream League is currently looking for a permanent Flint location for hosting group and private lessons in a building centrally-located in the city or on the north end. If you or your child are interested in enrolling in the Dream League Music Mentoring Program, you can visit dreamleagueflint.org. The YMCA Safe Places program has their own set of applications for Dream League. If you would like to donate, you can do so at the website. The Dream League will need more mentors to be involved in future plans – those interested are invited to apply on the website, and will be subject to a background check. The Program seeks positive role models who have a passion for music. “Mentors don’t have to know how to read music, necessarily. If you play by ear, that is fine,” Davis informs. “You have to be driven to mentor and love inspiring people.” The Dream League Program is always looking for instrument donations, as well. Davis sees a future for Dream League with mentors and students working together throughout the city of Flint and its schools. If she can get more mentors and volunteers, she hopes to partner with YouthQuest in order to enhance both programs. 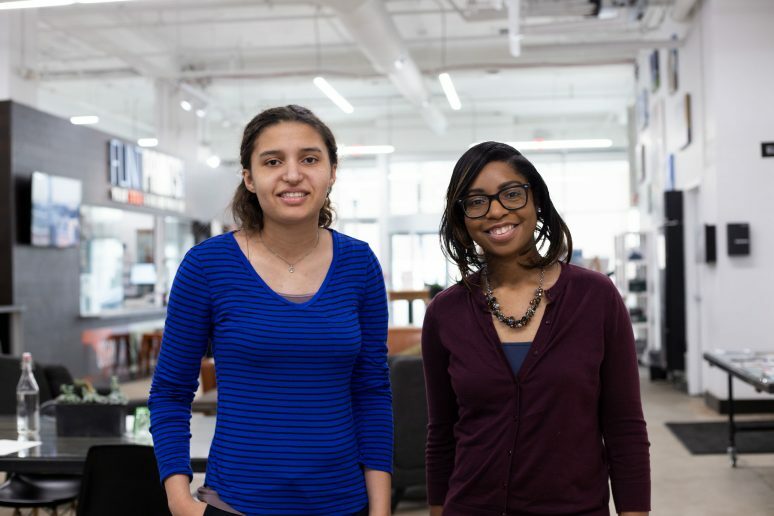 “Our mission statement is ‘play with passion, inspire with integrity, grow as a generation and aspire without limits’ and if we are touching those four major parts of our mission every day, then we are on the right track,” she says. Davis thanks God for entrusting her with the gifts and tools she has to change the lives of others; Dream League Board Members: Adrian Davis, Ebonie Gipson, Joshua Towner and Talicia Campbell; Kerry Downs, Jermaine Jones, Ashley Strozier, the entire Holmes STEM Academy faculty and the Crim Fitness Foundation; Moses Bingham, Taelor Clark and the entire YMCA Safe Places staff; Durralle Hare, Pastor George Wilkinson, and everyone who has donated time and money to help the Program and its mission. Another way you can help is by making Amazon purchases through smile.amazon.com (select the Dream League Music Mentoring Program and Amazon will donate proceeds to the organization at no cost to you). Make sure to like Dream League on Facebook. 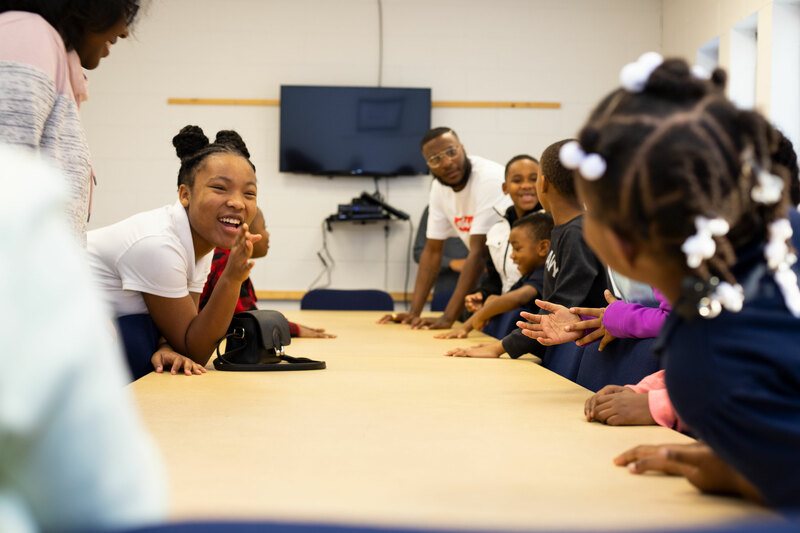 The Dream League is an inspiring after-school program that only wants the best for the city of Flint and its children. It hopes to grow as the city grows and to be a major part of Flint’s future.